This guide will help you format your paper and cite resources according to MLA citation style. Contact the Writing Center to set up an appointment! The Modern Language Association (MLA) style is a collection of formatting, citation, and stylistic rules. The MLA style is used for writers of research papers, for academic coursework, and for publication. 1. Works Cited Formats - examples and explanations for citing your sources in the various formats for your Works Cited list. 2. Formatting Your Paper - how to set up your paper including the margins, font, and your Works Cited list as well as view a sample paper. 3. In-text citations - also known as parenthetical notation - how to cite your references in the text of your paper. 4. Endnotes/Footnotes - MLA's rules on using endnotes and footnotes. 5. Avoiding Plagiarism - information on the College's academic honesty policy and Turnitin, an online tool to detect where sources need to be cited. 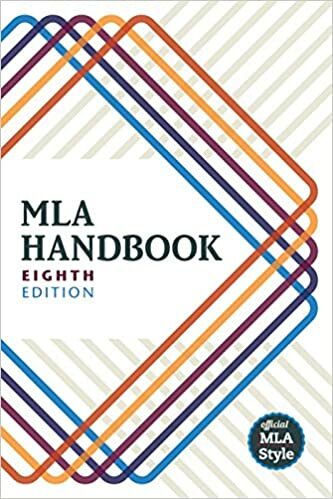 For more detailed information, consult the MLA Handbook 8th Edition Manual. Also feel free to consult a librarian for more help. Be sure to check out these MLA TUTORIALS from the Online Writing Lab from Purdue University for help in formatting your essay. One video shows you how to format a paper using Microsoft Word according to MLA style. A second video introduces the basics of MLA style documentation, focusing on the list of works cited. REMEMBER: You are expected to cite your sources IN-TEXT as well as in your Works Cited.